It’s easy to talk about creating a progressive working culture that enables people to flourish and perform at their very best, but the proof is in the action. At the Bankside Hotel, the plans for recruitment and laying down strong foundations to support the personal and professional development of its new team has been as thoughtful as the design of the building and guest services that this innovative space will offer. Innovation begins at the heart of the operation – the hotel’s people – reflected in the drive to recruit individuals with a passion and affinity for the vibrant cultural hub of London’s South Bank, along with a genuine love for working with people. Here, a sense of individual flair is actively sought, with warm, engaging personalities who are plugged into the neighbourhood scene high on the most-desired list. 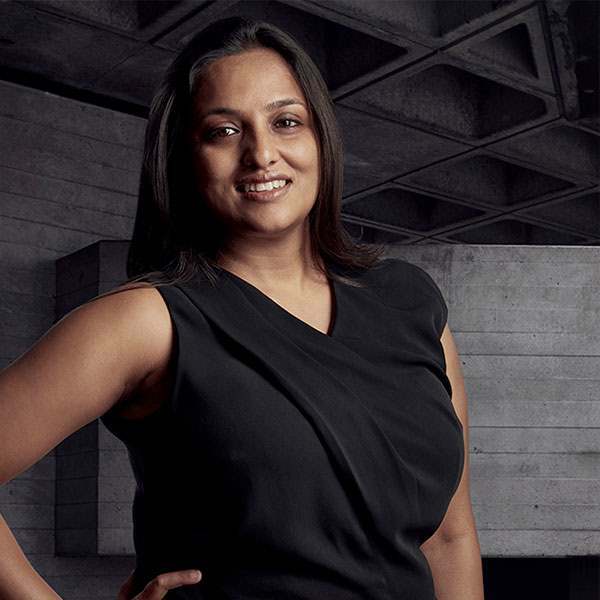 Led by Ashwini Lakshman, Director of People and Development, the approach to recruiting staff at all levels is actively aligned with the hotel’s key ethos for supporting and integrating with the local SEI community as an arts space and social enterprise hub. Hiring locals who are established hospitality pros is just one part of it: Bankside is also partnering with charities including Clink and Women Returners offering opportunities designed to rehabilitate and help those in challenging circumstances find their way forward. What attracted you personally to join the Bankside Hotel? It was clear that they had a vision that was very different from other hotels. I was impressed by the concept, not just the design and the service culture but the fact that even though the building hadn’t been completed yet, they were already thinking about the people culture. They were already committed to ensuring it was a high priority and palpably different. And it was a blank canvas – I was excited by the opportunity to bring the concept to life. What kind of working culture are you planning to create and build? Egalitarian is the one word that sums it up best. Progressive, certainly with equal opportunities integrated as a standard practice. We want a creative, welcoming environment where people have a sense of autonomy in their role and can also freely share their ideas for other areas of the business. Leading with emotional intelligence will be very important with the management team setting the example. How does this differ from other hotels/what’s unique about your approach to recruitment at Bankside? Whilst we will still adhere to the best traditional values of luxury hotel hospitality, we’re looking to bring a fresh approach to how we deliver this: creating a relaxed and informal environment where guests feel welcome and can be themselves rather than a ‘scripted’ style of service, which no longer works for our audience of Millennials, in particular, and can be quite alienating for some people. We are creating a working culture that enables our people to thrive and able to offer the hotel services that appeal to and excite both our staying guests and visitors. What are the key personality traits and interests you seek in candidates? Passion for what they do with a genuine love of working with people -hospitality can be tough so you have to love it. Which skills and attributes impress you the most? Keeping a cool head under stress and the ability to think on your feet and come up with solutions because great service is all about anticipating what your colleagues and guests need. What training do you offer for staff who are new to hospitality or still at the early stage of their careers? We have developed a highly engaging training programme open to new staff across all areas of the hotel and from all backgrounds to get the team ready for Bankside’s opening in October. Training opportunities are ongoing, along with buddies and mentoring schemes. Everyone has a mentor - it’s such a great way to motivate and support people. There is also leadership training for more experienced staff. How could working at Bankside be a golden career opportunity for a more established hospitality professional? It’s the opportunity to bring what you’ve already learned and then make something amazing out of it - the chance to shine. We invite you to add to our culture as well as adapt to it. When it comes to creating a hospitality star what do you believe a person can and cannot be taught? You can teach everything in terms of the technicalities of hospitality, but you cannot teach a love for it. That passion must be there already. What are the key personal and professional benefits that staff will enjoy? Supported career progression and access to wide range of opportunities, working with some inspiring leaders. It’s such a wonderful location and all our staff get to play a part in building a new hotel brand that’s making a difference. Any top tips for a successful interview? Be yourself and show us rather than hide your personality. We will probably hire you for who you are rather than what you have done before. We are looking for the right attitude rather than ticking off a work experience checklist. If you’d like to join the Bankside Hotel team, view our career opportunities and current job vacancies.